Sumi Dual Mill DGC type utilizes double-sided inserts for excellent economy. 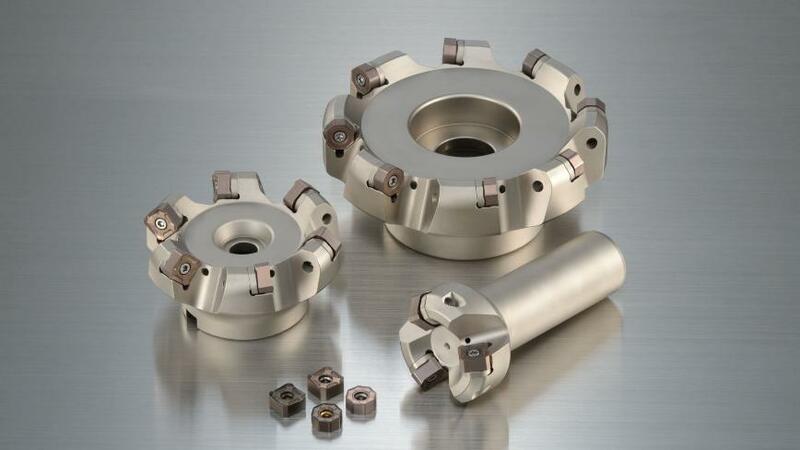 This is a general-purpose cutter featuring high cutting edge strength for high efficiency milling and low-burr chipbreaker design that provides high quality machined surface. The DGC type insert lineup includes double-sided SNMU (double-sided, 8 corners) and ONMU (double-sided, 16 corners) types. Up to 16 corners can be used for improved economy.